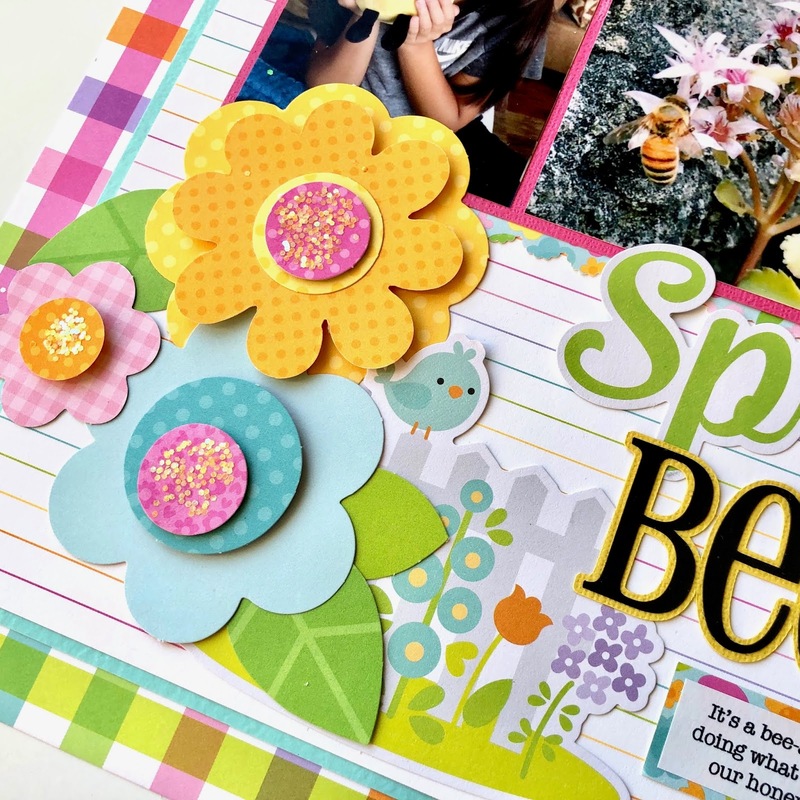 Do you like to use beautiful flower blooms on your crafting projects? 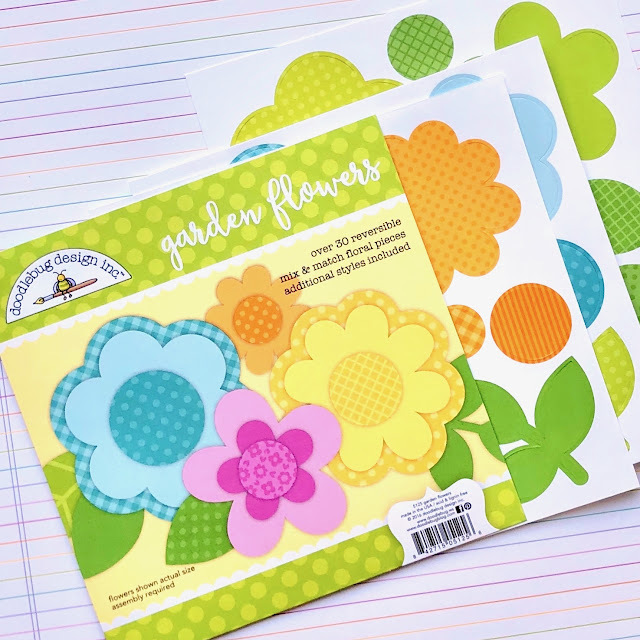 Check out these gorgeous pre-cut flower blooms in this garden flower set! The blooms and leaves are double-sided and so easy to assemble. 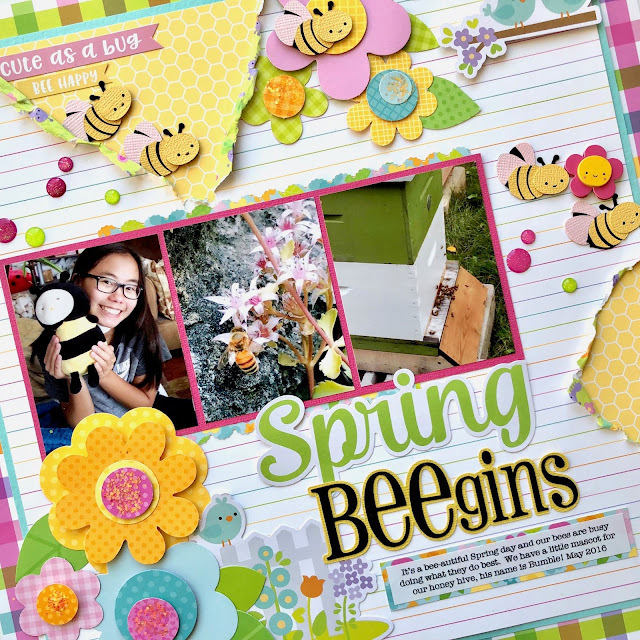 My layout celebrates some buzzing Spring activities in my garden and using the bee electronic cutting file is a great way to create the same embellishment multiple times to play up the bee theme. 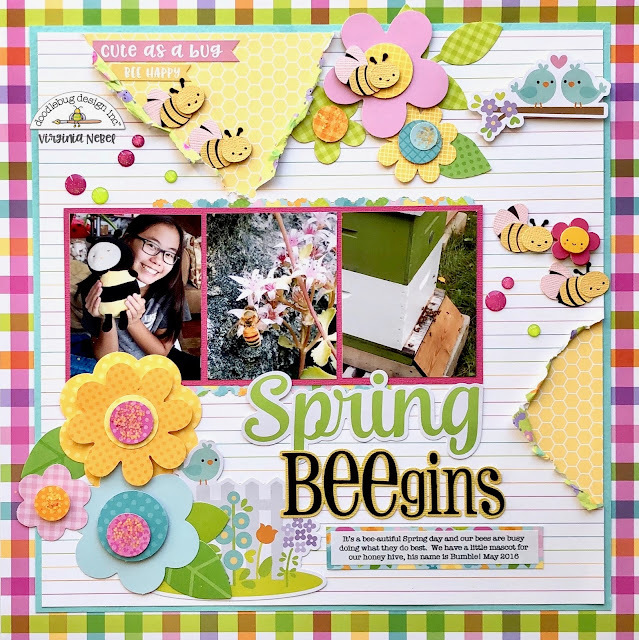 I added some sugar glitter to the centre of the flower blooms for extra sparkle and placed some bees flying out the honeycomb paper revealed from a torn section at the top of the page. 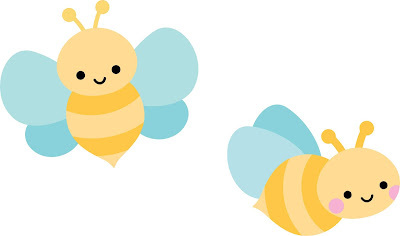 Eek... those little bees are just the cutest! FABULOUS Layout!